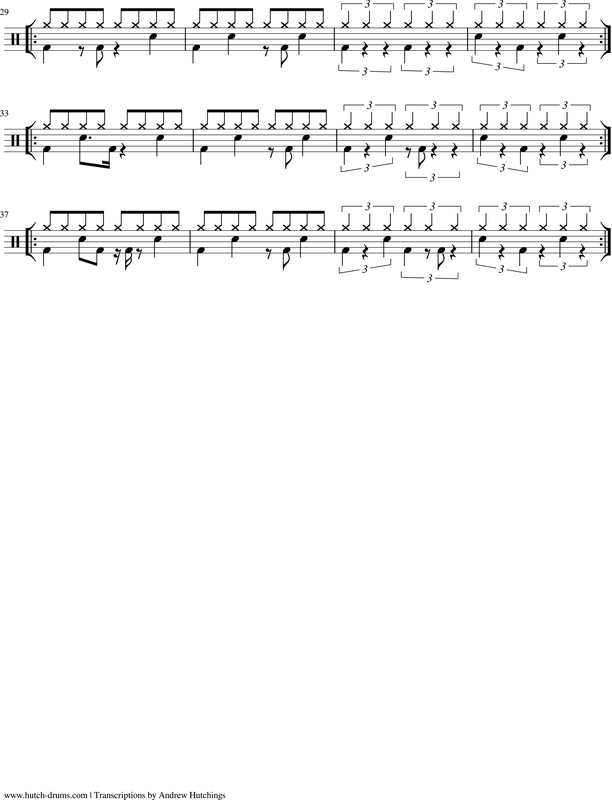 The following groove exercises take 8th note drum and bass patterns and modulates the groove over quarter note triplets. 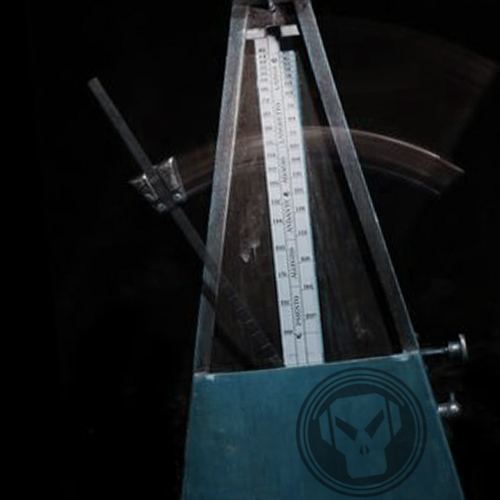 Keep the metronome at 172bpm. You’ll feel the groove switch to a triplet feel, while the dance floor feels as if the tempo moves from 172bpm to 129bpm before the groove reverts back to the start of the phrase 2 beats short. Eighth note time modulated to quarter note triplets gives the impression of winding down the tempo by one quarter. These are cool as fills or turnarounds at the end of phrases. The additional exercise is a 3 over 2 polyrhthym, or 8th note triplets over straight 8th’s. 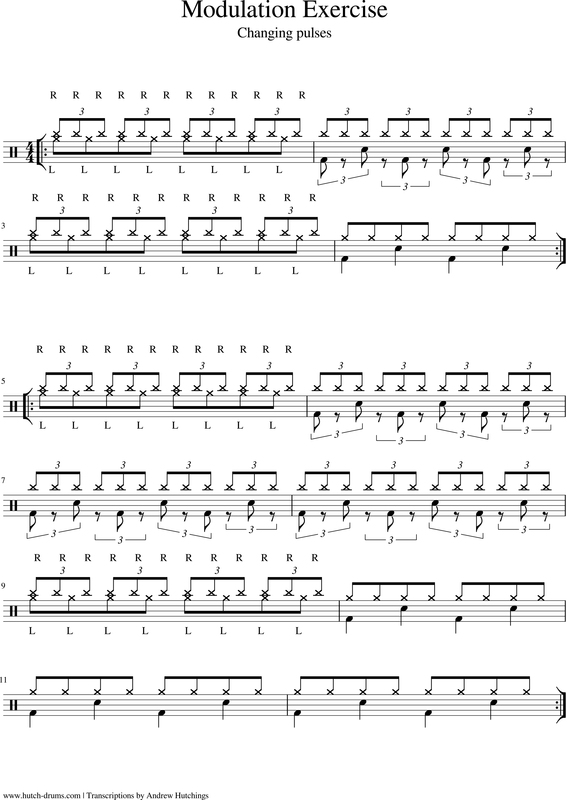 Play the triplets with your right hand on the ride cymbal and the straight 8th’s with your left hand on the high hats. Drop out the 8th’s to free your left hand and modulate a kick and snare rock pattern with your right hand’s triplet time. Repeat the polyrhthm, then modulate the back beat across your left hand’s straight 8th’s. 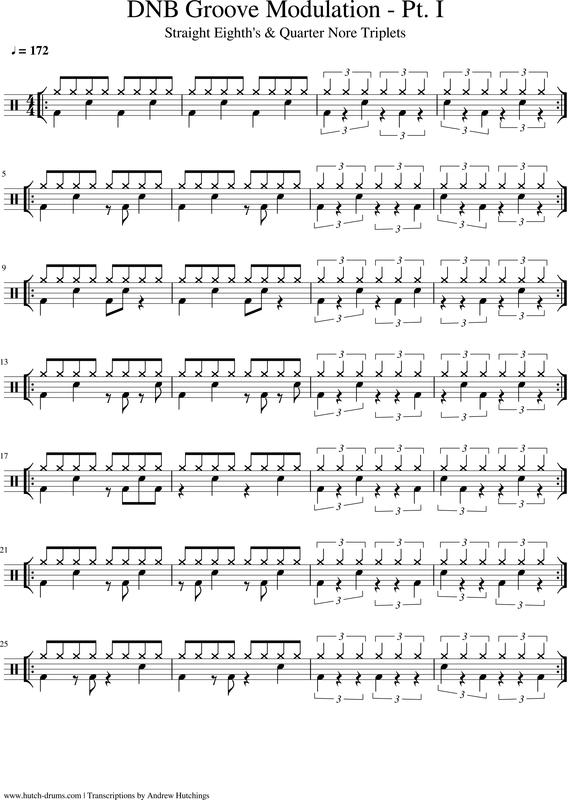 With your metronome set to 180bpm, this equates to reducing the tempo to 120bpm, without adjusting your inner clock.